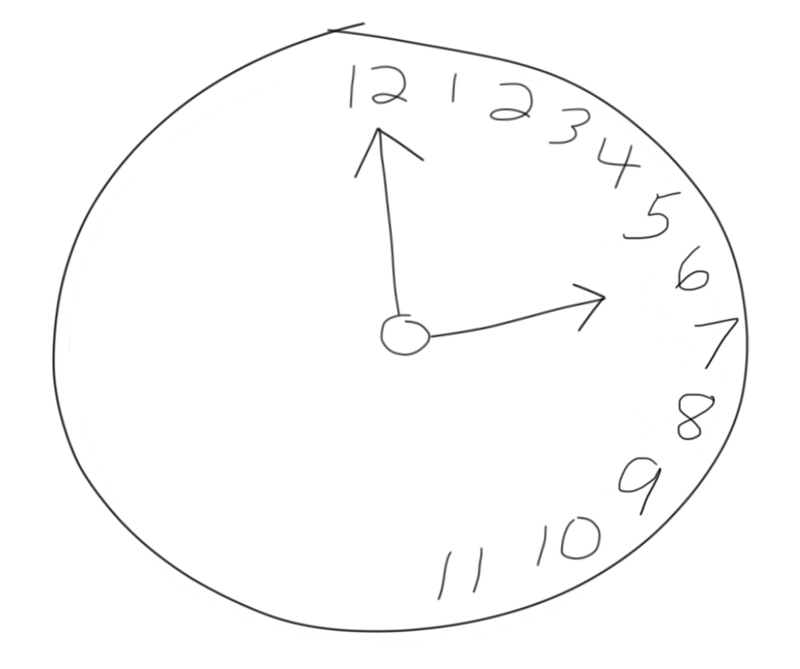 Example of what a clock might look like if drawn by a contralateral neglect patient. AKA hemispatial neglect, a condition that can occur after damage to one of the cerebral hemispheres (e.g. from a stroke). Contralateral neglect involves a deficit in attention paid to one side of the visual field, usually the side that is contralateral to the damage. It can result in the individual not attending to stimuli in that area to the extent that he does not seem to be aware of such stimuli. For example, if an individual with contralateral neglect is asked to draw a clock, he may only draw numbers on half of the clock's face as he is incapable of attending to the other half of his visual field.